Nicole Forsgren is an IT impacts expert who shows leaders how to unlock the potential of technological change in their organizations. Best known for her work with tech professionals and as the lead investigator on the State of DevOps study, she is a consultant, expert, and researcher in knowledge management, IT adoption and impacts, and DevOps. 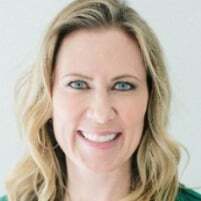 She is the Director of Organizational Performance and Analytics at Chef and an Academic Partner at the Social Analytics Institute at Clemson University. In a previous life, she was a professor, researcher, and hardware performance analyst. She holds a PhD in Management Information Systems and a Masters in Accounting. She has consulted and advised Fortune 50 Companies, startups and government agencies, and has been awarded public and private research grants (funders include NASA and the NSF). Her work has been featured in various media outlets, including the Wall Street Journal, Forbes, and InfoWeek.